If you or a family member has been seriously injured because of the actions of a medical professional, you may have a legal claim to help you recover from your injuries. These claims can be complex and technical and having an experienced attorney helping you through the process can help to ease the difficulties you are facing. The San Francisco medical malpractice attorneys at Bracamontes & Vlasak, P.C., are experienced litigators and trial attorneys who are used to standing up for victims’ rights. They are committed to helping ensure that you are fairly and fully compensated if you have been injured through no fault of your own. We listen to our clients, consider their unique situation, and offer advice based on the totality of the circumstances. Our attorneys are comfortable in litigation battles against larger firms as well as in negotiating complex settlements on behalf of clients. At Bracamontes & Vlasak, we have represented people throughout California who have been injured by the decisions of medical professionals that fall below the standard of care expected from other professionals in their specialty. Proving that a doctor or other medical professional committed malpractice can be an expensive and difficult process. We strongly believe that patients have the right to expect and receive correct treatment when they seek medical attention. 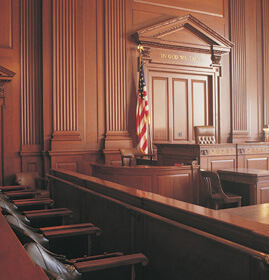 Every case is considered and a unique litigation strategy is developed for each client based on the facts of his or her case to achieve the most favorable results possible. We are proud to fight for injured patients and the families of patients who have lost their lives or have been seriously injured due to medical negligence. Contact a San Francisco medical malpractice lawyer at Bracamontes & Vlasak today for a free consultation about your case. We strongly believe that patients have the right to expect and receive correct treatment when they seek medical attention. You can also schedule a free consultation by calling 415.835.6777.